Get ready to plan your jams with this weekend’s Tunes Around Town! After the break get a large sample listing of live music in the area with some sample videos of some musicians performing! Tons of great shows this weekend all over our fine state and beyond! The 24 Hour Music Project is this wekeened, in addition to getting together for a great cause there’s a wealth of great shows to attend! Get out and enjoy some of these Tunes Around Town, the summer won’t last forever! Naukabout is finally here! 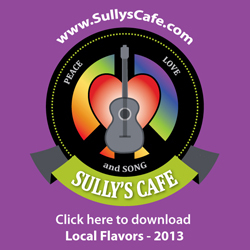 Its a superb weekend of music all over New England, get out and get some tunes! Tons of great shows this weekend, make sure to plan your jams early to partake in as many as possible!